Don't forget to follow us on Facebook. 'Like' Saline Elementary Spanish and/or follow me on Twitter @ProfePeplinski (you can also just click on the icons below)! Click the button below to register your student for homecoming. If you have more than one student at Harvest, please fill out one 'Registration' per student you have walking in the parade. Kindergarten and First Grade students must walk with a parent, older sibling, or adult. Students in 2nd and 3rd grade must walk with a buddy (a parent can be also be the buddy). Homecoming Essential Info: Friday, October 7th at 5:15 p.m., ends at roughly 6:15 pm, please be prompt at pick-up. Drop off at the High School auditorium parking lot (by door # 5). Pick up at the other side of the high school in the parking lot by the stadium. The parade travels along Campus Parkway from the auditorium parking lots to the stadium parking lot. If this is your first time here, please read the information below before getting started. As always, all links on this site are free, however some links do display advertisements. Youtube videos also offer pop ups of other videos (usually related content) after a video ends that I cannot control. Please speak with your son or daughter about internet safety before letting them begin. This is a newer version of my website, my old website is still available for those who prefer it (click on available). ﻿Each grade level has it's own section which can be found under the sidebar, or by clicking the buttons below. The Kindergarten section contains cartoons, songs, stories, and games that reinforce what we do in class. Students in grades 1-3 will have 'highly recommended' sections on their page, as well as 'homework' sections. Anything counting towards class credit will also be sent home with students. I know how hard parents work (I am a parent too), so I wanted to put all important information in one place to make your lives a little bit easier. Need the parent note you found in your backpack a week ago? Not sure when the next Spanish event is happening? All of that, plus anything else helpful I can think of for parents will be found here. The only thing parents may look for here, that will be located on individual grade level's pages is missing homework. If you are trying to print a student assignment from home, all available assignments will be on the individual grade level's page (see above). This is your place to find pictures and videos of what your son or daughter is up to in Spanish (coming soon). Harvest Office at (734) 401-4500. Want to know more about the methodology behind what your student is learning? Check out my blog. 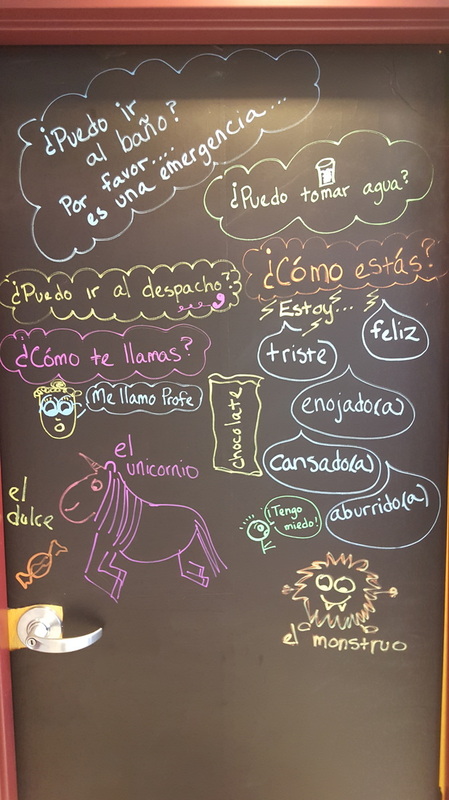 Have your students come home singing Spanish songs? Some of the classes favorite 'play lists' can be found here.